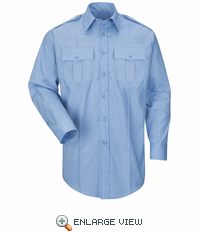 Our New Dimension Plus® Shirts combine aggressive styling with performance features such as modern stretch side gusset panels and stretch action back for moisture transport and stretch along with silicone permanent creases. Added length to sides helps to keep shirts tucked. 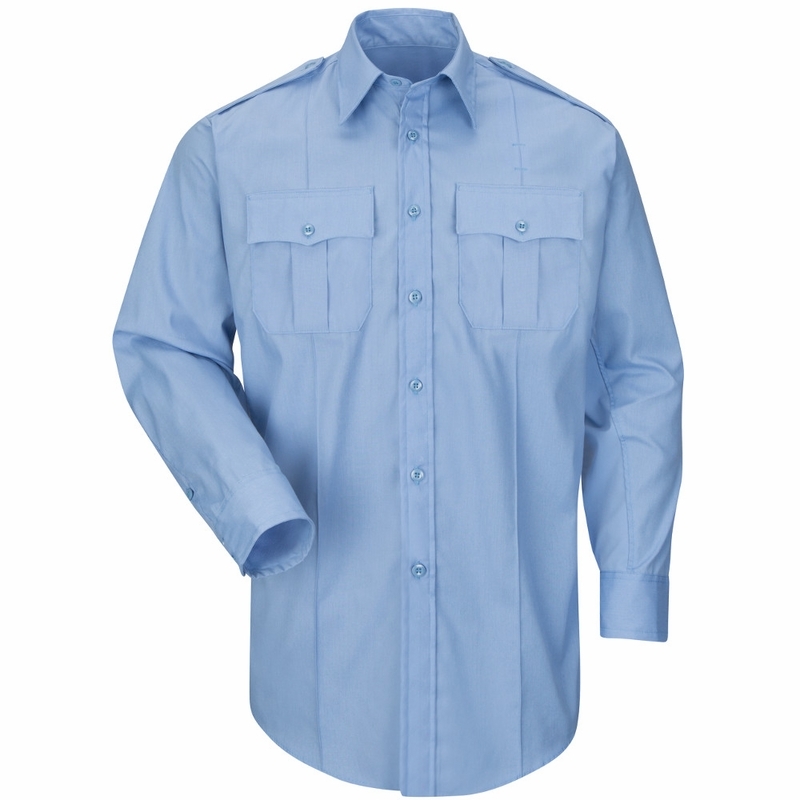 Due to the poly-cotton fabric blend and wicking side panels, these shirts not only perform all year, but are extremely comfortable and easy to maintain. Fabrick: 4.25 oz. Per Square Yard Poplin. Blend: 65% Polyester / 35% Cotton. Care: Home Wash or Dry Clean. Closure: Break Resistant Dyed-to-match Melamine Buttons. Collar: Banded. 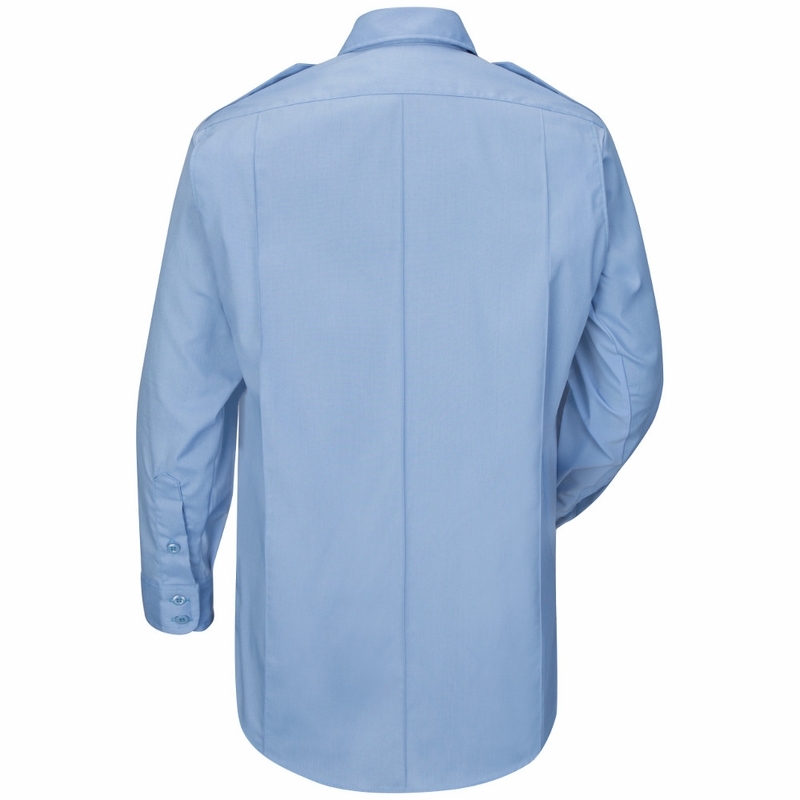 Cuff: Two Button Cuff with Button Sleeve Placket. Finish: Soil Release, Wicking. 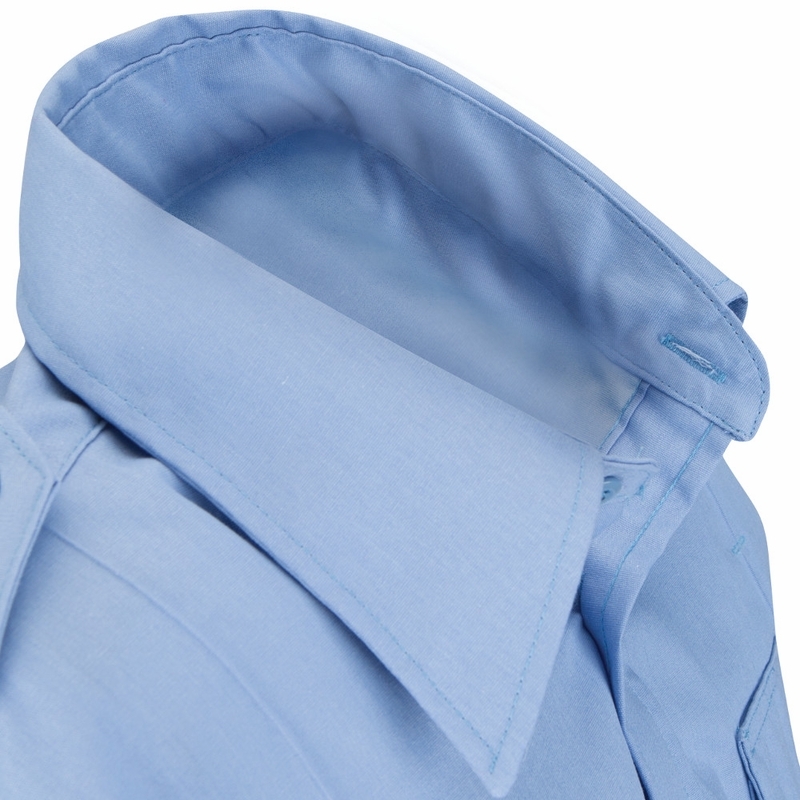 Interlining: Heavy-Duty in Collar, Epaulets, Pocket Flaps, and Cuffs. Pocket: Pleated Pockets, Scalloped Flaps with Hook & Loop Closure. •Added Length to Sides to Help Keep Shirt Tucked. •Stretch Side Gussets for Moisture Transport and Unlimited Range of Motion. •Stretch Action Back for Superior Mobility.